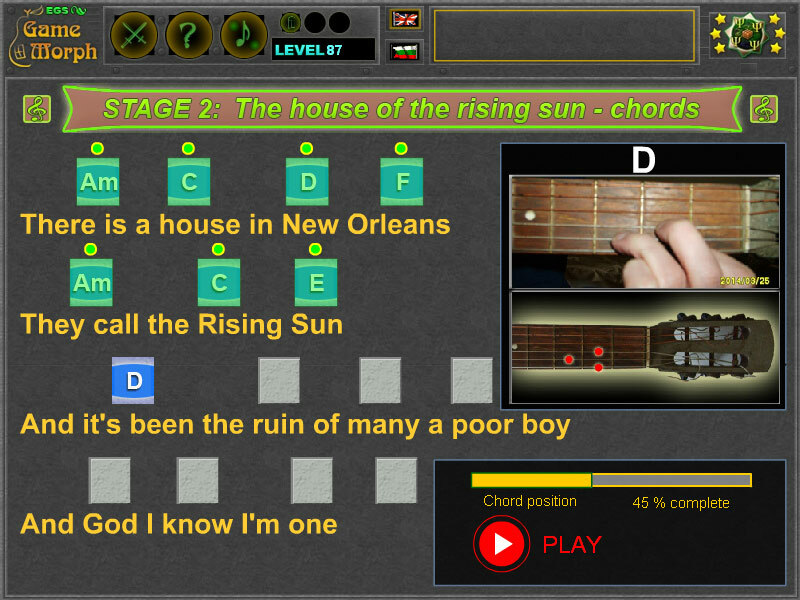 The House of the Rising Sun song chords learning with a fun online arts game. 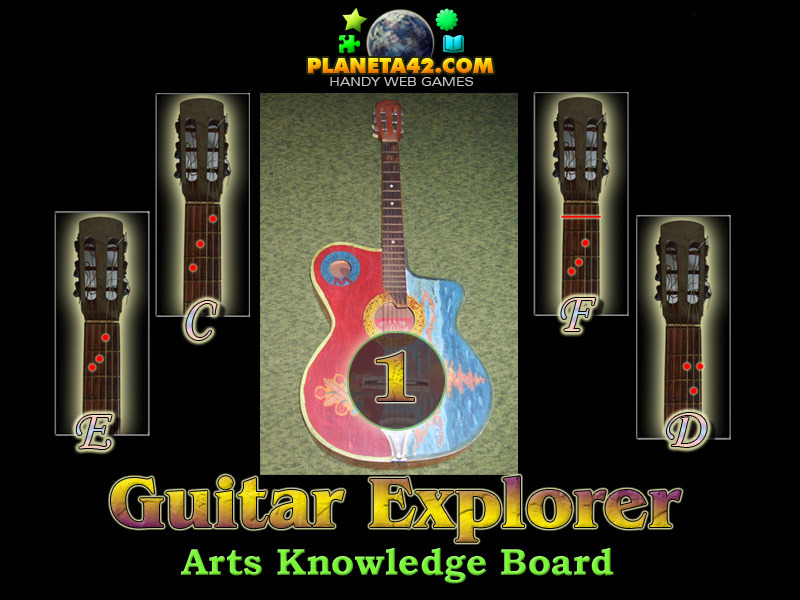 "Guitar Explorer" is a free online knowledge level game about basic Guitar Chords. A short tile game for desktop computers, laptops and tablets, which may be played in the web browser. The Arts Knowledge Board include 5 pictures of chords to play with. Part of the Interactive Creativity Atelier educational tools. What are the most basic guitar chords? How to play "The House of the Rising Sun" song on a guitar? What are the guitar chords for "The House of the Rising Sun" song? How to hold Do Major on a guitar? What is the sign letter for Do Major chord? How to hold Re Major on a guitar? What is the sign letter for Re Major chord? How to hold La Minor on a guitar? What is the sign letter for La Minor chord? How to hold Mi Major on a guitar? What is the sign letter for Mi Major chord? How to hold Fa Major on a guitar? What is the sign letter for Fa Major chord? Which chord is Am letter? How to play Guitar Explorer. Observes and memorize 5 guitar chords. Then position them on a song diagram. The song is "The House ofthe Rising Sun". Chords are a set of positions of the fingers on the strings of the guitar. They are usually marked with one or two letters. Know 5 guitar chords and how they fit in a song. The pictures and the try made by the team. Labels: Games with Hobbies , Tile Games , Flash Games , Creativity Games , Education Games , Free Online Games.